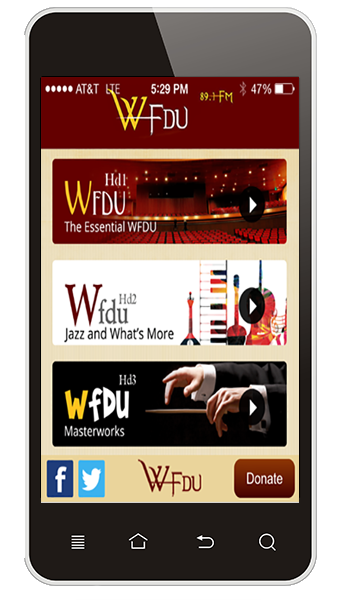 Here’s the new HD App for Android from WFDU, the world wide voice of Fairleigh Dickinson University. Not only can you listen to our 24 hour a day programming from the original and essential WFDU you can also listen to our two new HD Radio channels – WFDU HD2, Jazz and What’s More and our classical channel WFDU HD3, Masterworks. Click on the image for the download link!